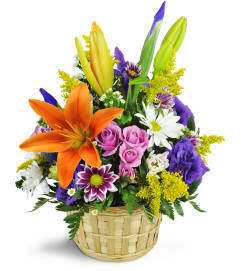 This beautiful heart shaped arrangement is on a standing easel. 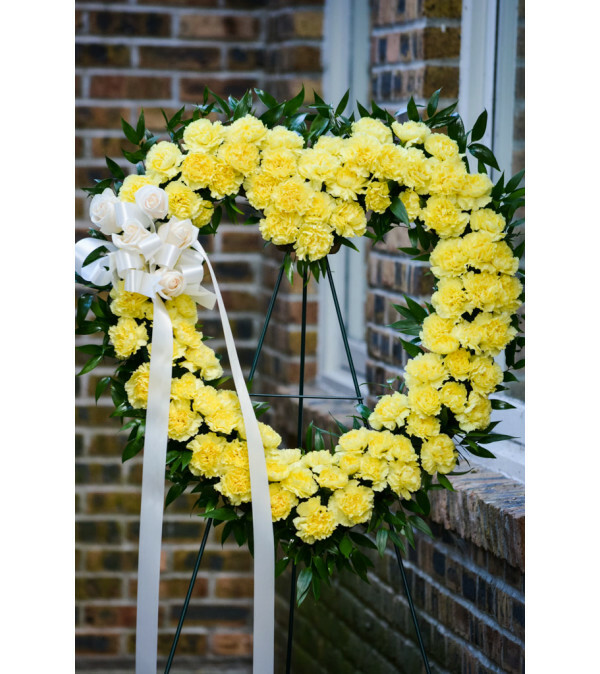 Handcrafted with beautiful yellow carnations and a touch of white roses. 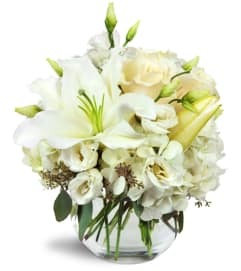 This arrangement can also be made with your choice of the following colors of carnations. White, red, orange, pink, hot pink, red, and purple. Please let us know if you would like a specific color.